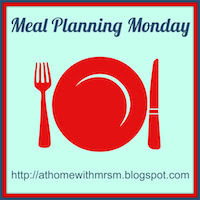 Regular readers may have noticed that there has been a distinct absence of Meal Planning Mondays since we broke up for summer at the start of July. With the kids off school set mealtimes went pretty much out the window and we grazed from morning to night. School has been back for two weeks now and I've just been winging it with meals as the meal planning momentum seemed to have got up and gone. A sorting out session of my rather substantial collection of cookery magazines has got me inspired again. I've somewhat anally re-organised them by month. 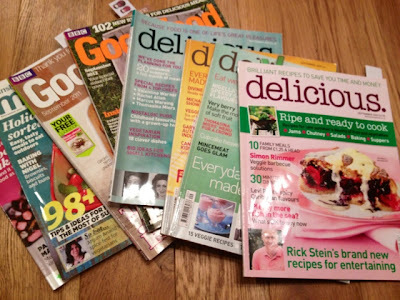 For September I've got nine magazines to choose from ranging from 2007 to 2012 including Delicious, Good Food and Sainsbury's. I spent a couple of hours flicking through them and bookmarking recipes to make this month. Some that I've made before and others new to me. Also hope to cook seasonally with their help. Lots of recipes for Autumn berries on their pages inspired a wee foraging walk where we collected the last of the wild rasps and the first of the brambles. 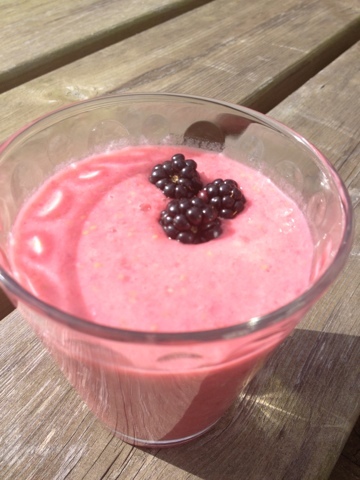 Smoothie first with rasps, apple juice, natural yoghurt, banana and honey. 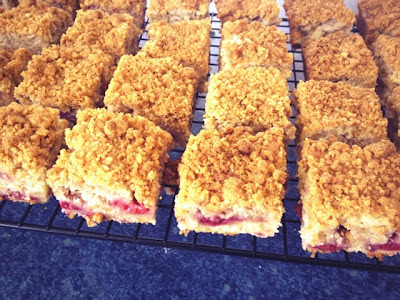 Then time for some crumble cake. 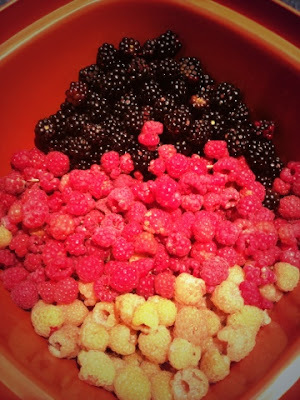 Brambles have been saved for mini Bakewell Tarts. Make the crumble topping by rubbing the butter into the flour, sugar and cinnamon until it looks like breadcrumbs. Poach the apple in a small pan with a splash of water for a few mins until it starts to soften. Drain and set aside. Beat the butter and sugar until fluffy then gradually add the egg. Mix in the flour and milk until well combined. Gently stir in the rasps and apple. Spoon the mixture into a greased and lined tray bake tin (aprox 20 x 35cm). Sprinkle over the crumble mix and bake at 160 degrees for 45 mins. 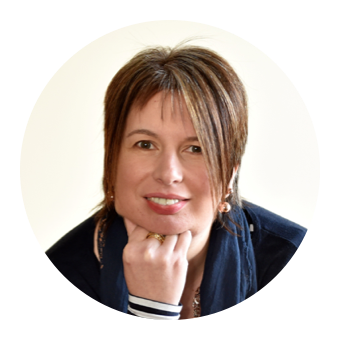 Without further ado here's what I've chosen to make this week as always linking up with Mrs M's #mealplanningmonday Keeping a couple of days unplanned and also going out for a Friday night curry with friends and heading to Huntly Hairst Food & Farming Festival at the weekend. Before I sign off I must share our Sundae lunch from yesterday. No that's not a typo. Girl had her Martial Arts grading yesterday morning so a treat was called for and we headed to a new Ice Cream Parlour Cones & Candy. She had Vimto, Mint Choc Chip and Lemon Sorbet whilst I had Peanut Butter, Baileys and Salted Caramel. Oh my days it was good! Beats a roast dinner any day. I should sort out my magazines and do some planning. But still sick and no mojo :( one of those Sundaes would be sure to make me feel better! 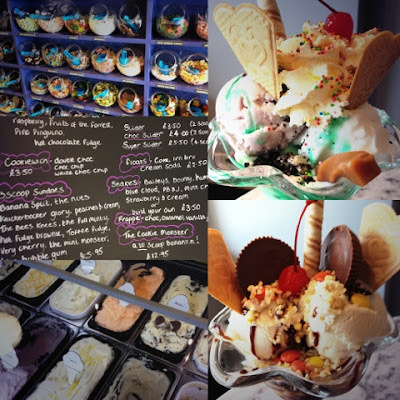 Those Ice creams sound amazing!! 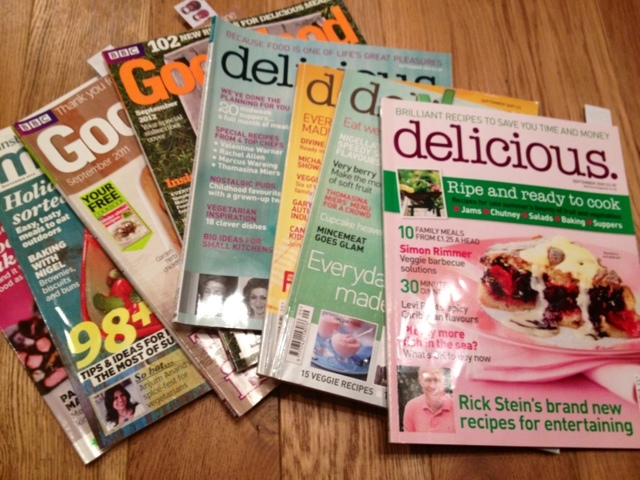 I have hundreds of food magazines that I can't bear to part with but forget to look in them! Will try next weeks menu plans using my magazines!